Installation of WiFi Network to cover a large 16th century farmhouse with multiple extensions. 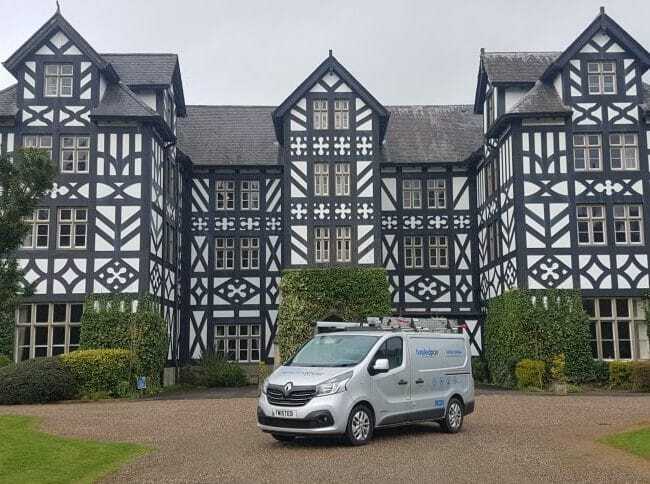 The Challenge: To provide full Wireless Network coverage within a 16th century farmhouse. Multiple extensions and additions made over the centuries accompanied with big thick stone walls lead to very limited WiFi coverage. Many DIY and domestic solutions had been tried to improve coverage, including a new WiFi router and many home range extenders. The solution: Is surprisingly simple, a Wireless survey is carried out to determine the make up of the property construction along with a map as to where the WiFi Access Points need locating to get the optimal transmitting signal distance from the device to the WiFi Access Point By strategically placing Wireless Access Points around the property we can be assured that wherever you are, your device will be connected. We installed a fully managed WiFi solution allowing users to roam freely within the property without loss of signal. 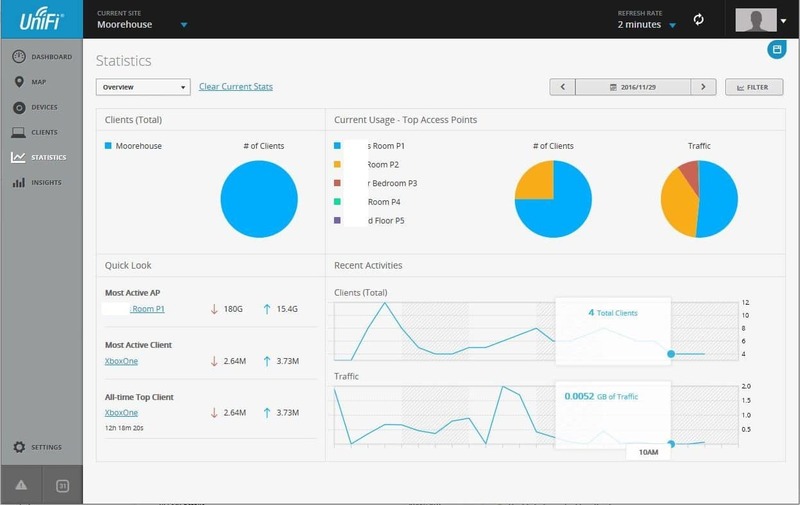 This is achieved by each WiFi Access Point reporting back to the WiFi controller to determine the best Access Point for the user to connect to. As soon as the user moves the controller will determine if there is a better or closer WiFi Access Point that will provide a better signal and automatically transfer the users device to the adjacent Access Point without losing connectivity. We also relocated the BT master socket and installed a new ADSL filter, this eliminated the problem of poor internal phone wiring which was reducing the network speed. In addition we installed a full Cat6 network, business grade router and managed network switch to connect up the WiFi access points. The main factors that can degrade the experience that we receive from our Wireless Network really boil down to two main issues ..... Size of the property: It must be understood that the distance from the Router (WiFi Access Point) to the device which we are connecting eg. Mobile Phone is critical to enjoy a stable connection, even though that the signal strength that is received at our device from the router seems good we must also understand that the device must talk back to the Router! The signal that transmits from the device e.g Mobile Phone back to the router is less powerful than that produced from the Router so we can now see how important it is to get the correct distances set out between the Router (WiFi Access Point) and Device for seamless connectivity. Construction of the property: WiFi signal strength is impeded by thick walls, Metal and Water. With distance between WiFi Access Point and Device now in mind we can easily understand how the signal strength transmitting through thick brick walls or Concrete would degrade, mix that with the Router positioned at the other end of the property can give us poor if not zero connectivity.